Next time you switch on a light, consider the enormity of this everyday phenomenon. Light allows us to travel back in time to explore the origins of the universe. Even after thousands of years of study, we still don’t fully understand light, yet we are harnessing its powers in ways that transform our daily lives and turn science-fiction fantasies into real possibilities. “The technology of light keeps getting more and more amazing,” says Emory physicist Sidney Perkowitz. 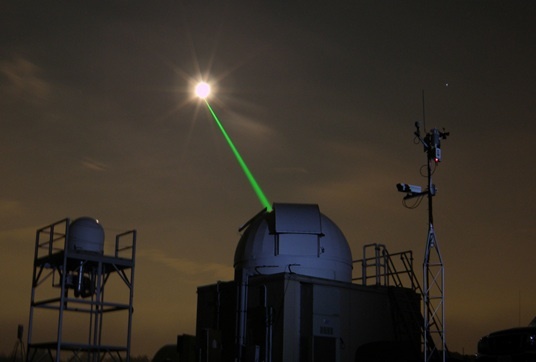 NASA is using laser technology to map longitude and latitude positions on the moon. Credit: Tom Zagwordzki/Goddard Space Flight Center. “Only three percent of your brain is needed to figure out what you’re hearing, while 30 percent is needed to figure out the meaning of what you’re seeing. So if you want one number to explain how important and complex light is, that’s it,” Perkowitz says. He describes Isaac Newton’s use of a prism, to demonstrate that white light contains a spectrum of colors, as the single most important experiment in the history of light. By the end of the 19th century, it was clear that light is an electromagnetic wave defined by its wavelength. Physics started getting more complicated when Albert Einstein showed that light comes in discrete packets or particles of energy, which were later named photons. That discovery helped give birth to quantum mechanics. 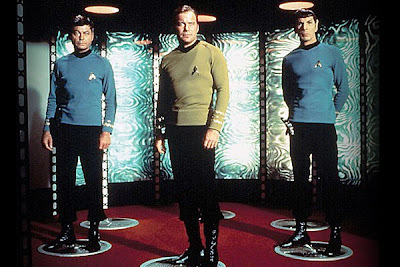 Beam me up! It seemed magical the way the crew from Star Trek was "teleported," but light photons also appear to travel via teleportation. Credit: Paramount Pictures. “Like Dr. Frankenstein’s creature, Einstein’s creation was remarkable but troublesome to its creator and others,” Perkowitz says. The photon was at odds with the wave theory of light, and Einstein himself was baffled by it. Related: The top 10 Star Trek technologies, now available in the real world, by Space.com. Light's dual nature, as wave and particle, is one of the biggest mysteries in science. 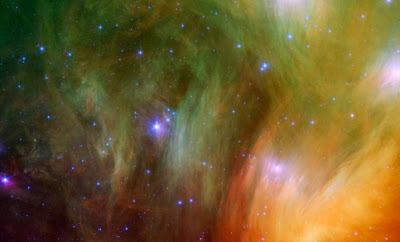 Infrared portrait of the Seven Sisters star cluster by NASA, JPL-Caltech, J. Stauffer. Harry Potter’s invisibility cloak seemed like a child’s fantasy when the fictional character debuted in 1997. An actual cloak began taking shape about a decade later, however, when engineers at Duke University deflected microwave beams so they flowed around a small object, making it appear as if nothing was there. Since then, the race to perfect invisibility technology has heated up.